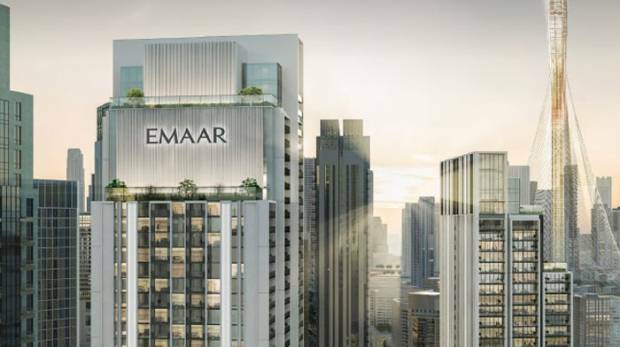 Dubai: Just days after reporting a Dh5 billion plus net profit, Emaar Properties is back with an off-plan launch — the “Harbour Gate” set on an island — and its first this year. In doing so, the master-developer is giving a major push for the Dubai Creek Harbour, a 6 square kilometre location which will also be the location for the world’s tallest skyscraper. Harbour Gate will be a residential estate within Dubai Creek Harbour, and will feature 491 one-, two- and three-bedroom apartments. Set in the Island District, Harbour Gate will be located close to The Tower, the next city landmark, a mall and retail district. The sales event takes place on February 18. Details of the pricing have not been revealed. Earlier Emaar launches at Dubai Creek Harbour have been in the range of Dh1,800 and more. Residents can have 270-degree views of The Tower from a communal rooftop terrace. The Harbour Gate collection includes six penthouses and six town house duplex homes set on the podium pool deck level.